Thank you to Kristing Ostberg for her story from The Hardscrabbler. You can see the original via the link below. Lou Sandoval and Jack Buoscio, co-owners of Karma Yacht Sales at 3635 South Halsted, returned from the Strictly Sail winter boat show bustling with leads. Winter is the season when people buy yachts, and boat sales reflect consumer confidence. Apparently consumer confidence has been rousing itself. Boat sales began to step up in 2011, according to Spader, a franchise and consultancy. During the consumer-confidence bust, used boats flooded the market. But last year, dealer inventories of used boats dropped, and sales of new boats rose 3 times as fast as sales of used boats did. Jack says the first to start buying again were people who had the money to buy all along, they never lost it -- they were the 45 to 50 foot yacht crowd. Now, people in the 35 to 40 foot crowd are following them back into the water. If it surprises you to find a yacht dealer on Halsted Street in Bridgeport, Jack and Lou are quick to point out that sailing isn’t just a rich man’s sport. Though they say it is a sport for the forward looking. “Sailing a boat isn’t like driving a car,” Jack says “you have to plan several steps ahead.” They named their business for the principle that “waves of good fortune follow admirable actions.” And when they are not selling yachts, they are actively trying to bring the sport to a broader demographic. Lou, who lives in Bridgeport, is interested in doing something similar for Halsted Street. Jack and Lou grew up on Chicago’s south side, in close proximity to the lake. Jack’s father was a school teacher, Lou’s was a steel worker. Lou first experienced sailing in the scouts, Jack discovered he had what they call the ‘water gene’ later in life. As adults, they bought their first boat together with some friends while they were still employed in their corporate careers. It was a 26-foot 1978 craft “with a yellow hull and a Brady Bunch interior,” Lou recalls. They sailed it until they calculated they were ploughing enough into repairs and maintenance that they might as well buy a new boat. They did their homework and decided to buy a Beneteau. Benjamin Beneteau started building fishing boats in 1884. His grandchildren pioneered in pleasure boats. Today, Beneteau is the largest builder of sailing yachts in the world. Even Benjamin’s fishing boats had names like “Poursuivante” (Pursuer) and “Vanquer des Jaloux” (Vanquisher of the Jealous). The brand is still known for speed and performance, and a reasonable price. For a new, 50-foot Beneteau, a reasonable price may be half a million dollars. Karma Yacht Sales also brokers used boats -- a smaller, older boat can be bought for the price of a car. Jack and Lou bought their first Beneteau in 1999. By 2002 they were ready to trade their corporate careers for entrepreneurship. They’d struck up a friendship with Joe and Elaine Darby, owners of Darfin Yachts, who represented Beneteau on Lake Michigan. 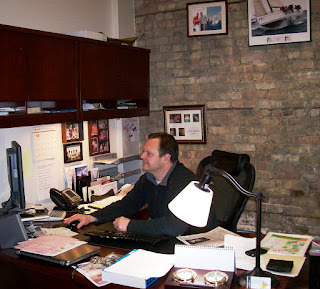 Jack eventually quit his corporate job to sell boats through Darfin full-time. Lou had once had a side venture managing yachts for clients he met through his corporate job – when he was doing sales for Abbott pharmaceuticals – they tended to be heads of surgery with a lot more money than time. The Darby’s ran Darfin from their home near Midway airport.When they expressed interest in selling their dealership, Jack and Lou decided to buy it. 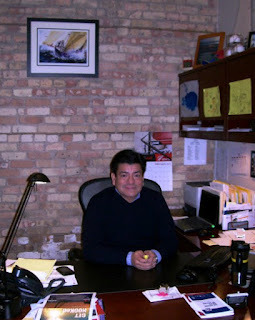 They set up shop in Pilsen first, they acquired their building in Bridgeport in 2007. There is still a portion of their customer base that rarely travels south of Madison Street. But Bridgeport is equidistant between Crowley’s 95th Street Yacht Yard, where they keep their inventory, and Burnham Harbor downtown. And Karma will be even better poised when the new 31st Street Harbor comes online this May. Jack estimates there are 6 to 7 sailboat dealers in the Lake Michigan market, but only 2 or 3 of them have actually invested in inventory. The others will sell you boats out of catalogues. Karma also employs 2-3 service technicians so they can guarantee reliable service on boats they sell. They typically start the season with 4 boats on hand in representative sizes – some customers will order variations based on their models, but by late summer, they hope to be selling the last of their inventory. A wavering customer can visit Beneteau’s US manufacturing plant in Marion, South Carolina, where 300 families build boats in a 21-step assembly process. It’s a convincing experience. Buyers sometimes visit their own boat as it is being built. Nationally, new boat sales have waxed and waned with the economy over decades, but sales of new sailboats began to drop steadily after 2000. That may reflect the aging of the traditional yacht demographic. It does not measure trade in used boats, and Lou says sales of new yachts have been steadier in Chicago than they have been nationally. Karma opened during the dotcom bust, and has weathered the banking crisis. At the height of it, sales shifted toward cash transactions, (from about 20% toward 40% of sales) but that’s not because marine lenders weren’t willing to make loans. Jack says financing for sailboats is still readily available. In fact that’s a point of some pride for sailors: in the past 5 years, foreclosures hit the world of boat finance too. But 98% of those were foreclosures on motorboats. Only 2% were on sailboats, according to GE Capital, which lends to both dealers and consumers. Jack and Lou say it’s not that sailboat owners are richer, they believe it reflects the careful instincts of the sailor, who must calculate the wind to change his course. Sailboats don’t appeal to the sportsman impatient to press a button, drop the throttle or hit the gas. Boat loans are often amortized over 20 years – which means you can buy a yacht the price of a house for payments similar to those for a nice car. That is why Jack and Lou’s typical customer doesn’t have to be rich. Karma’s customers include police officers and school teachers, who enjoy their summers off. The storied ‘water gene’ – which differentiates the person who goes out on a boat and isn’t all that impressed from the one who absolutely loves it – may be widely dispersed. But old social dynamics still impinge on its expression. “Grow Boating” is an industry initiative to promote the boating lifestyle. Lou attended a Grow Boating assembly last year. It brought 160 luminaries from across boating types and industry sectors. Lou says only 15 of them were women, and he was one of 5 minorities. He believes the boat-owning grassroots is more diverse, even if that diversity is still filtering up through industry leadership. As of 2009 there were roughly 375,000 registered boats in Illinois, about 1 for every 13 households in the state, suggesting he is probably right. Karma Yacht Sales has an activist streak – its owners are current on issues that impact their industry and advocate for measures that help it along. Locally, they have approached the public schools and city colleges about developing educational programs that might use sailing to demonstrate classroom concepts in physics and math, or offer vocational training in fiberglass and diesel mechanics – skills that could grow a local sailing industry, and are transferable to other industries as well. Lou moved his family to Bridgeport in 2006, so he tends to see opportunities for action here too. He lived in Wicker Park for 9 years, and was active in the Chamber of Commerce that raised Wicker Park’s retail profile – he’d like to see similar efforts in Bridgeport. Wicker Park used a Special Service Area to generate revenues that merchants could invest as a group. Just as important, they coordinated their marketing efforts and used electronic media – something Bridgeport’s retail old-guard has been slow to embrace. 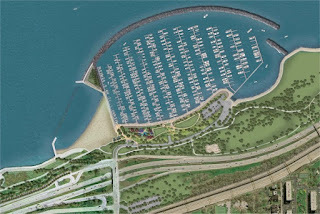 This summer, when the new marina opens at 31st Street, non-boaters may also feel the boost. Chicago harbors generate more than $30 million in annual revenue for the Park District, and help support 100s of jobs hospitality sector jobs. Last year, about 5,000 boats docked at the city’s 9 marinas. The Park District has cited growing demand to justify substantial hikes in harbor fees over the last 10 years. 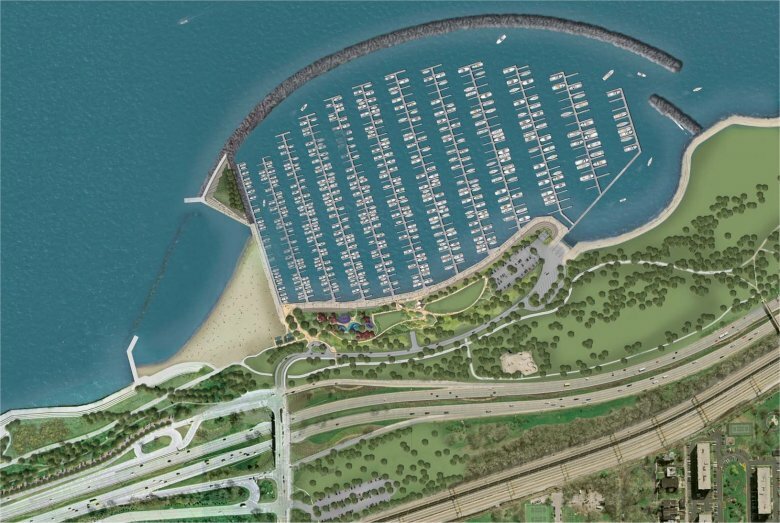 The new harbor at 31st Street will add 1,000 slips to the city’s inventory, according to Westrec Marinas, which operates the harbors for the Park District. Jack and Lou anticipate a salutary effect on harbor fees, not to mention new points of entry for Chicagoans just discovering their affinity for the water. 1. BGM America, Inc,- which encompasses all of the Marion, South Carolina manufacturing, purchasing, engineering, methods, production, logistics, quality and maintenance departments. 2. Beneteau Inc, - The new Groupe Beneteau support organization of accounting, finance, administration, information systems and human resources. 3. 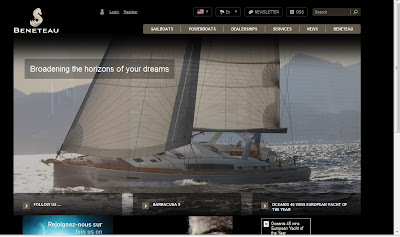 Beneteau America, Inc, - composed of the Sailboat and powerboat divisions for Groupe Beneteau. BA is the company that will manage all relationships with our dealers, customers and the media. The move comes at a time when other North American based sail and power manufacturers are reeling in the economic recovery. The internal restructuring will solidify the position of the Beneteau brand as the number one (1) sailboat and trawler brand in all the markets throughout North, Central and South America. The impact to customers in the Lake Michigan area will be seamless. 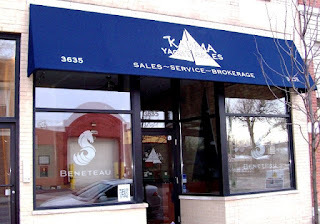 Karma Yacht Sales will continue to be your Lake Michigan sailboat dealer representing the number one preferred brand on the Lake. What it does provide for you as a current Beneteau owner or prospective Beneteau buyer, is the reassurance that you are buying into a brand name supported by a worldwide manufacturer on solid financial footing. It further protects your sailing investment value in the years to come. Groupe Beneteau originates from a company founded over 120 years ago that has interests in a broad range of products in the marine and non-marine markets. Entering our tenth year of doing business , Karma Yacht Sales is very proud to be the 2011 Beneteau dealer of the year and Lake Michigan representative of Beneteau- the number one new boat brand on the lake. Contact us to find out why greater than one out of three boats sold is a Beneteau- a testament to the innovation, performance and quality that Lake Michigan sailors prefer.